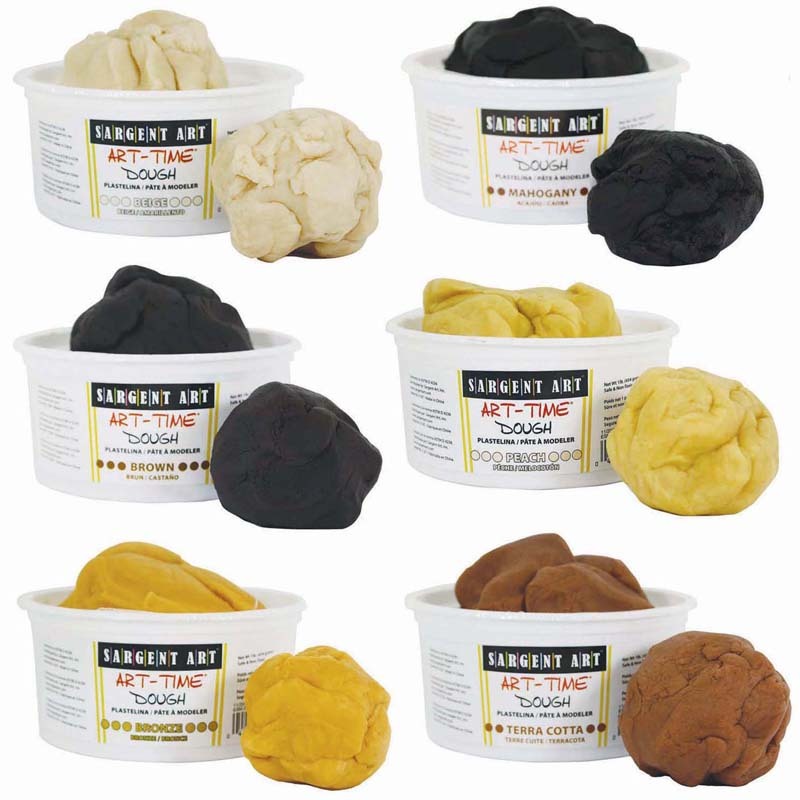 Sargent Art-Time Dough makes it easy for you to create whatever your mind can conceive. Construct any shape, figure, or structure with ease. Dough can be used over and over again with proper storage. Each set includes 3lb of 6 colors, for a total of 18lb of dough. Colors include: yellow, orange, red, violet, green, and blue. 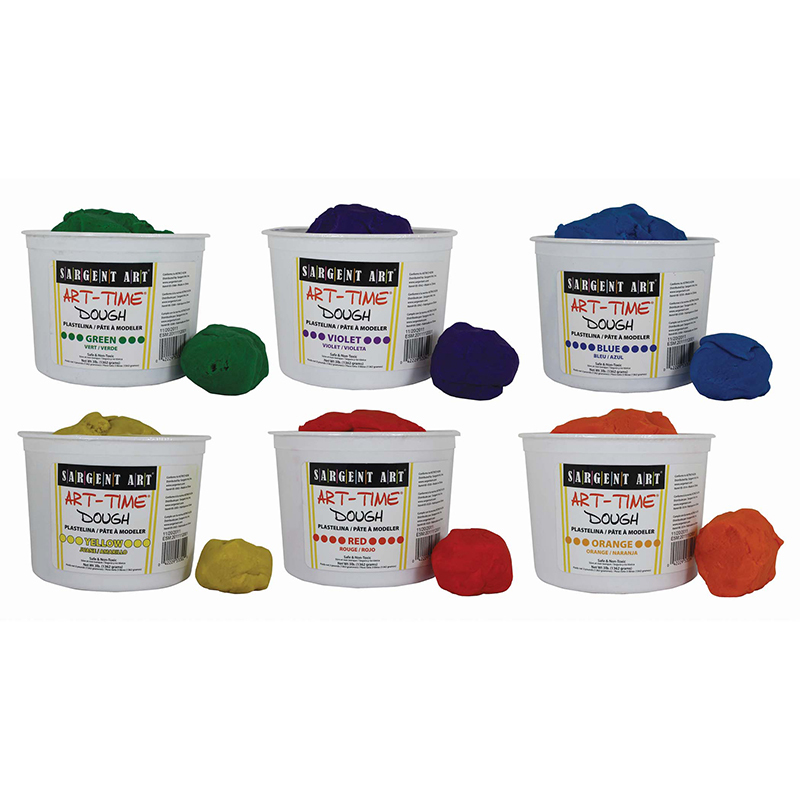 The Sargent Art Arttime Assorted Dough can be found in our Dough & Dough Tools product category within the Arts & Crafts. Buy this package of dough to obtain the best value! Comes in easy store containers to preserve the life of the dough. Dough is soft and malleable. Children can construct an shape, figure, or structure with ease. Each color is 3lbs. That's 18lbs. TOTAL! Scented Dazzlin' Dough! 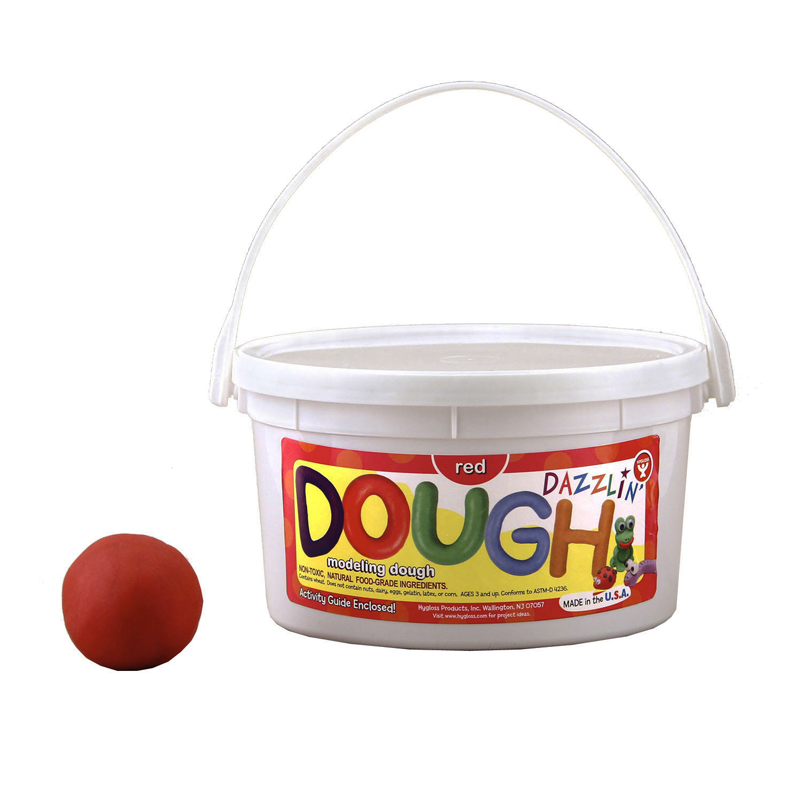 The non-toxic, long-lasting, premium quality modeling dough that is fruit scented, all-natural and made in the USA. An activity guide with instructions is included with your 3 lb. bucket, complete with convenient carrying handle.